David Stoll has worked with indigenous communities in Guatemala since the 1980s. In his most recent book, El Norte or Bust! How Migration Fever and Microcredit Produced a Financial Crash in a Latin American Town (Rowman & Littlefield, 2012), he describes how migration actually impoverishes many rural Guatemalans because they take on unmanageable debt to finance the trip north. He has written about Central American migration for The Wall Street Journal, Miami Herald and The American Interest. His earlier books include Is Latin America Turning Protestant? (University of California Press, 1991), Between Two Armies in the Ixil Towns of Guatemala (Columbia University Press, 1993), and Rigoberta Menchú and the Story of All Poor Guatemalans (Westview Press, 2007). 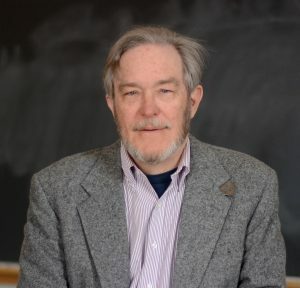 Stoll received his bachelor’s degree in anthropology from the University of Michigan and his PhD from Stanford University. For the past 22 years, he has taught at Middlebury College in Vermont.